Each Labor Day weekend, the population of downtown Atlanta explodes. 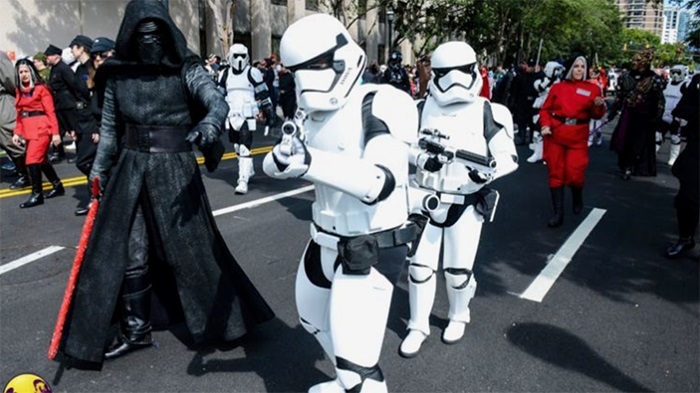 Dragon Con, the revered science-fiction convention, attracts more than 80,000 attendees. The Chick-fil-A Kickoff Game, this year pitting the Auburn Tigers against the Washington Huskies, will bring another 75,000 downtown on Saturday. But downtown Atlanta has just 26,700 residents, according to the 2010 census. 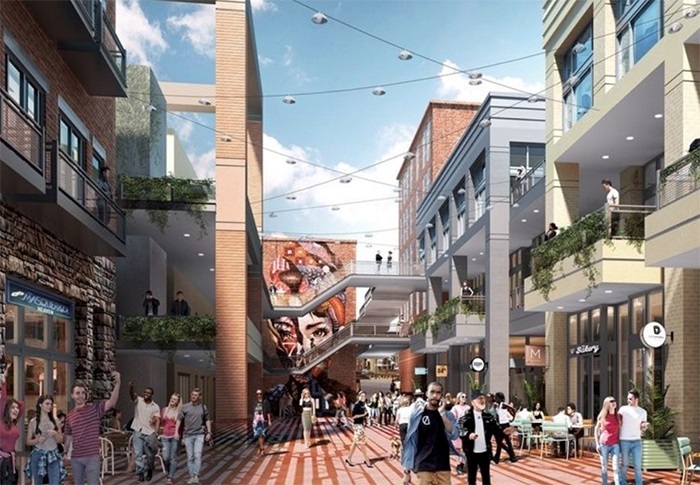 South Carolina developer WRS is reinventing Underground Atlanta, which it purchased from the city for $35,000,000. The first phase of that work is expected to be completed in about a year. Another developer is a taking a long, hard look at the Gulch, which could yield a mini city over 27-acres next to Philips Arena. The latest filing shows 9 million square feet of office space, 1,000 residences, 1,500 hotel rooms and 1 million square feet of retail space. The Georgia World Congress Center is expanding Centennial Olympic Park, with a new amphitheater and additional greenspace, which will open early next year. The Georgia Aquarium is expanding, the Central Library is being completely renovated. Downtown has some serious momentum. And it has a few places to live, including the historic Healy Building condominiums, a 1913 masterpiece — it was the last ‘skyscraper’ to be built in Atlanta before World War I. The history of downtown starts with the terminus of the Western & Atlanta Railroad. Georgia leaders drew a mile radius from that point, which today is in a threatened building beneath a viaduct, and created the city of Terminus in 1837. As the city grew and prospered, the name eventually became Atlanta, considered the feminine of “Atlantic.” The state moved the capital of Georgia to Atlanta following the Civil War. As the city became the economic engine for the Southeastern United States in the late 19th century, the center of economic life was the Fairlie-Poplar district. It continued to be the main business district in Atlanta through the 1970s, when many companies relocated to Buckhead and Midtown, virtually abandoning downtown. Underground Atlanta and the gulch are both the result of the traffic congestion of the 1920s, as automobile and trains created headaches for the city. The solution was to create a series of viaducts bridging the downtown train tracks. Over the last few years, Central Atlanta Progress, city leaders and developers have led the charge to reinvigorate downtown. Woodruff Park has seen substantial improvements, including refurbished tables, chairs and a new playscape. Parts of the Fairlie-Poplar Historic District are closed to traffic, with tables and chairs and landscaping greatly enhancing the experience. And Georgia State University has poured untold resources into acquiring and renovating many of the old office buildings. There are several neighborhoods that make up downtown Atlanta, including Castleberry Hill, Centennial Hill, Fairlie-Poplar, Five Points, Hotel District, Luckie Marietta, Peachtree Center, SoNo (south of North Avenue) and South Downtown. With the increase in people, this weekend is an excellent time to check out all of the changes taking place around Atlanta’s historic core. Over the next few years, with everything going on, we imagine it will continue to attract new residents. What do you think about all the changes coming to downtown Atlanta?